Reverend Robert William Hunnicutt, fondly called “Pastor Bob” by many, will begin his 16th year on March 18, 2016, as the Pastor of Covenant Life Cathedral. He was mentored from a baby by his Spiritual Mother and close friend, the late, Dr. Estelle M. Good, the Founder of Covenant Life Cathedral. Dr. Good passed away in October, 2008. Prior to Pastor Bob accepting God’s call to serve as the Pastor/Shepherd of Covenant Life Cathedral, he had previously served in several Ministerial capacities, including Assistant Pastor, Associate Pastor, Worship Leader and Minister and Teacher at CLC (aka Lighthouse of Deliverance Church). 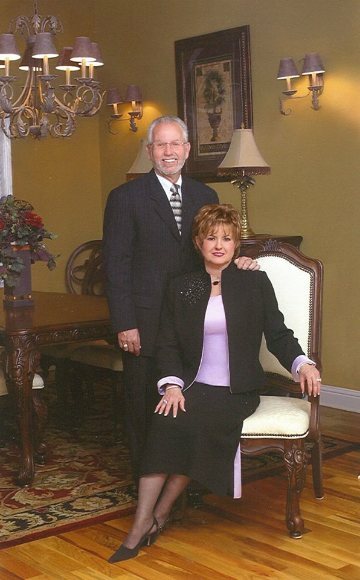 Pastor Bob was born on January 19, 1954 and is the eldest of two children born to the parentage of Mrs. Louise Collins Hunnicutt and the late Mr. Kenneth William Hunnicutt, who passed away in 2015. He and his only sibling, Debra Hunnicutt Wilcher, were introduced to God at very young ages as a result of a praying mother, who interceded and travailed before God on their behalf. He and his bride of 30 years on June 28, 2016, Sandra Faye Hunnicutt, have one son, Robert “Kyle” Hunnicutt, and a daughter, Deborah “Debbie” Banister Leggett. They are also the very proud grandparents of two grandsons: Chandler & Blake Leggett and have a daughter-in-law, Wendy Hunnicutt. Pastor Bob is retired from the Macon Water Authority, where he was employed for over thirty three years. His hobbies include being an avid Georgia Bulldogs Fan, golfer and he also enjoys professional automobile racing. He has a tremendous his love for café mocha and latte`. Don’t divulge his secret, but he definitely has a weakness for diet mountain dew, diet dr. pepper, chocolates and would never turn down a pan of Lillian Braswell Williams’ banana pudding or Mother Clara Brown’s potato pies or salmon croquettes. He is said to be by Coach Carey as “the man with the million dollar smile.” But what Pastor Bob really enjoys is leading the lost to Jesus Christ. He has committed his life and ministry to that purpose. Pastor Bob’s favorite scripture is Philippians 4:13 - “I can do all things through Christ which strengtheneth me.” His ultimate goal is to go that extra mile in helping to build the Kingdom of God and to get the Bridal Message of Jesus Christ for the Church out to all who will hear and listen to what God is saying to the Churches in this generation. He is a trailblazer for the Gospel of Jesus Christ and is well known for his illustrative sermons that are on a level where they are easily understood. Pastor Bob & First Lady Faye are very passionate about providing a life-giving Church, focused on the simplicity of the Gospel of Jesus Christ and the power of having an intimate relationship with a loving God. Our Pastor has a driving passion to preach the Gospel of Jesus Christ and a desire to see God work in hearts and homes to restore, rebuild and renew broken relationships.